To say that I’m a sports fan is an understatement. I love watching sports, playing sports, competing, getting angry at the TV, and exhibiting other irrational behaviors that only happen when sports are involved. This summer, at our house, the World Cup took center stage. My two boys loved the spectacle, the vuvuzelas, the teams, the personalities, and the games. We watched the USA’s incredible victory against Algeria, followed Spain through its initial 1-0 loss and subsequent run to the title, and got to explore topics like why we should root against North Korea, how it is complicated when it comes to rooting for Germany, and how the Netherlands is a good team since they were “good to the Jews” back in the day. Since the end of the World Cup, though, it has been a slow summer for sports. Baseball is, more or less, the only game in town, and the Sox are playing uninspiring baseball. 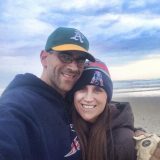 I used to be into the Revolution (Major League Soccer’s local team) but they have been weak for a few years and they play in Foxboro. The Patriots start training camp in a few days, but then it’s still five weeks until opening day. It’s slim pickings. But not all is lost; there is a sports story worth following! 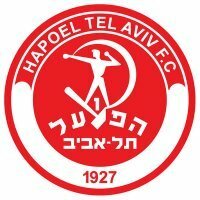 Hapoel Tel Aviv is playing in the qualifying rounds for the UEFA Champions League, and their next home-and-home fixture is this week and next week against a Kazakh team, FK Aktobe. The UEFA Champions League is a very big deal. The top teams in Europe play a monstrous tournament that results in the crowing of a European club champion in late May. Teams like Liverpool, Barcelona, Inter Milan, Bayern Munich, Real Madrid, and Chelsea, the elite of the elite, regularly compete in the final rounds. The quality of play is superior to that of the World Cup, since the top teams are a collection of international all-stars, and most soccer fans will attest that the best football in the world is played in the Champions League. For the Champions League competition, the best teams from all of the European national soccer leagues automatically qualify, and the top teams and national champions from the less-powerful leagues have to play their way in to the group stages. Israel, which has a fairly weak national soccer league, sends its champion each year to the group qualification stages, and once in a while, an Israeli team gets through. Imagine my surprise last summer when I turned on Fox Soccer Channel and saw Maccabi Haifa playing in their final UEFA Champions Qualifying fixture. For me this was a real treat, for back when I was living in Haifa, I became a big-time Maccabi Haifa fan; my closet now has assorted green-and-white jerseys from the past decade that can attest to that. They are, year in and year out, one of the top teams in Israel, and stars like Yossi Benayoun (who just moved from Liverpool to Chelsea) and Ayegbini Yakubu (a Nigerian striker who plays in England, best known for his point-blank miss in this year’s World Cup) have graced the pitch of Kiryat Eliezer with their play. Last summer, Maccabi Haifa managed a miraculous qualification to the final qualifying round (down 3-0, at home, they roared back to win 4-3 and advance to the final play-in round) and then I was able to watch them dominate an Austrian team to advance to the group stage. Unfortunately, they proceeded to fair miserably in their six group matches, becoming the first team in the history of the competition to score zero goals and receive zero points in the group stage. It wasn’t a great performance, and certainly didn’t merit a mention alongside their famous 4-0 victory over Manchester United in 2002. But when they play teams like Juventus and Bayern Munich, Maccabi Haifa is going to be hard-pressed to do much of anything. One of my favorite soccer terms is “minnows.” The minnows are the weaklings, the low-level teams in any group or league who are simply fodder for the bigger fish. National teams like those from the Faeroe Islands and English Premier League teams like Burnley (you get the picture) are granted this uncomplimentary name. In world football, and especially in the Champions League, Israeli teams are the minnows. The HapoelTel Aviv-FK Aktobe matches are probably not going to be easy to find. If you have a dish and get the Israeli network, then there’s a good chance you’ll be able to watch it. If not, hope for a Hapoel advance to the next round, and then maybe you’ll see them one night on your TV in their trademark red-and-white kits. I’ll keep you posted. In the meantime, keep rooting for the minnows.